For many years now it has been difficult to find the writings of Thomas Browne, except in second hand shops. A new edition of Browne has recently come out in paperback from Oxford University Press, at a wholly affordable price (£14.99). Thomas Browne, Selected Writings, edited by Kevin Killeen, contains all of Browne’s major writings, Religio Medici, Urn-Burial, and The Garden of Cyrus, and generous selections from Pseudodoxia Epidemica, as well as a selection of writings published after his death. 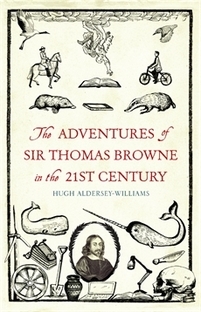 Hugh Aldersey Williams' book about Sir Thomas Browne was published by Granta and launched at The Bookhive Norwich in 2015. 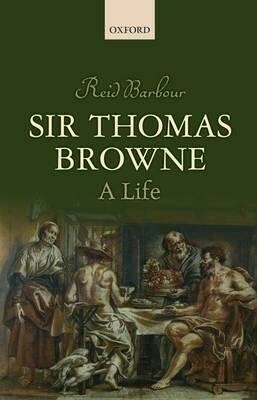 This book is a brilliant way to get to know Sir Thomas Browne and how his thinking is relevant to the world today. Along with Shakespeare and Chaucer, Browne's work is not always easy to read in its original written form and because of this, tend to be the territory of academics and Browne specialists. Writer Hugh Aldersey Williams has made this book and easily- readable way to get into the man and his works and to see his relevance to our lives today. It is surprising how accessible his thinking is once it is interpreted in this way, showing Sir Thomas as a curious man, a polymath and somehow similar to us in the way that we have our day-to-day work but also many other interests and questions about how the world around us works. I highly recommend this book for anyone who would like to get to know Sir Thomas Browne, his works and theories - he lived at a very exciting and interested time when science and society were really developing and changing - a bit like the world we are living in today. ​But look out for it in libraries or invest in your own copy.